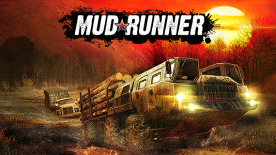 © 2017 MudRunner: a Spintires game. Developed by Saber Interactive and published by Focus Home Interactive. All rights reserved. Spintires is a trademark of Oovee Limited. "MudRunner: A Spintires game" uses Havok™ physics. © 1999-2017 Havok.com Inc. (and its Licensors). All rights reserved. See www.havok.com for details.